0 Are you a Vendor? 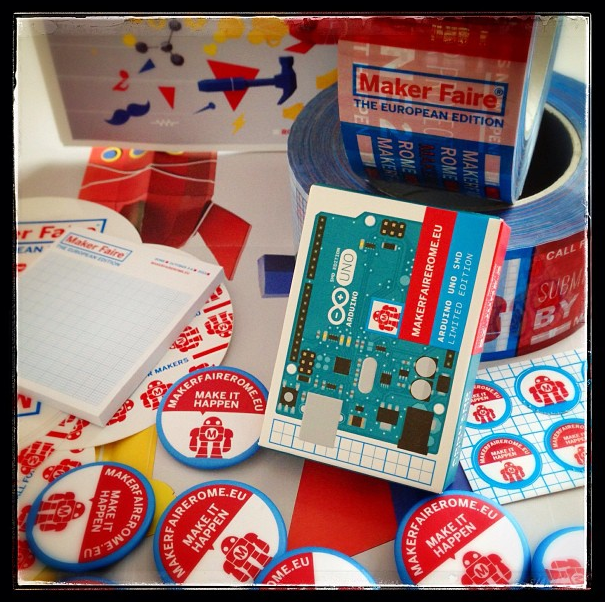 Come with us to the Maker Faire Rome! MakeTank has a booth at the Maker Faire Europe held in Rome from October 3rd to 6th – the major event curated by Massimo Banzi, founder of Arduino, and Riccardo Luna, editor of the website CheFuturo! and ex-editor of Wired Italia. We want to transform this event in a opportunity for visibility for all our active Vendors, whom we invite to take an active part in our booth. During the Maker Faire, our Vendors can tell their Maker story and show their creations, explaining their production techniques. They will have an hour each, with a planned presence at the booth and a small exhibition of the objects they have available on the MakeTank marketplace. You will have to pay the Faire ticket (price still TBA) as we cannot obtain free pass for everyone (though we’ll do our best and let you know if we can get you a freebie). The Maker Faire will take place at Palazzo dei Congressi (piazzale Kennedy 1 - Roma in the EUR area) and it will be open to families, with many interesting activities for kids (agenda to be defined).